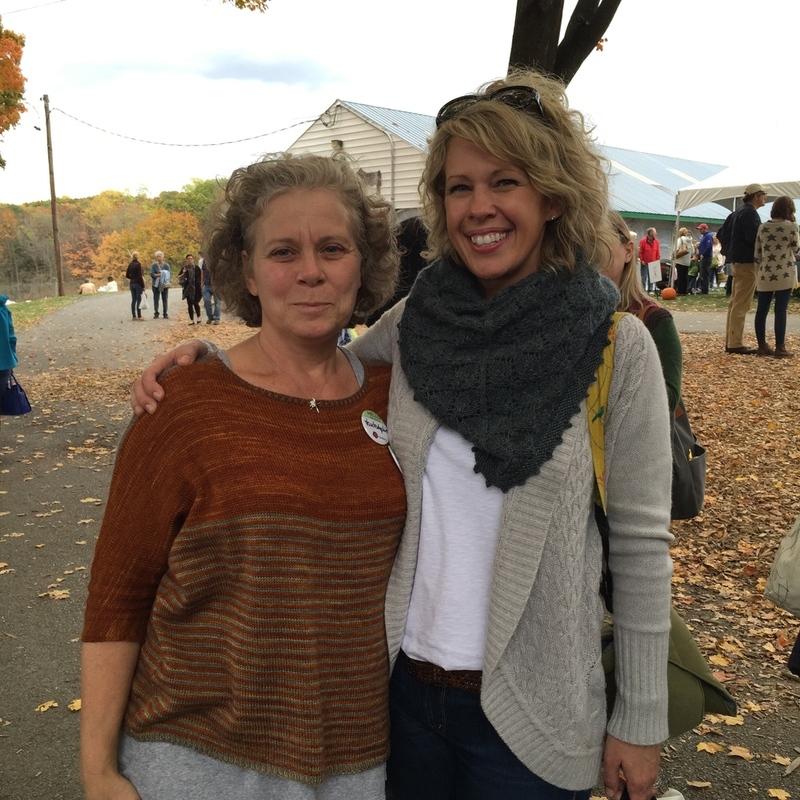 Rhinebeck 2014 ... — Tante Sophie et Cie.
... no more no less ... it was a FANTASTIC weekend ... thank you all! From left to right ... Jennifer in LOLA (Gal Noir) ... Franny in LOLA (Celebration) ... Ina in LOLA (Berlin) ... Miss Babs so honored!!! And Mindy in EMMA (upcoming pattern) ... I was floating on air! Ina in LOLA (Sticky Toffee and Papyrus) and The Plucky Knitter Sarah ... the one and only amazing color wizard!